Stone’s, the perennial winter favourite has mixed it up and is now the go to mixer for the Spring and Summer season with a super easy and refreshing way to spice up your life. Soda lightens Stone’s and instantly turns it into a refreshing, gluggable drink perfect for sharing over crushed ice at barbecues and in beer gardens. The recommended mix is 1 part Stone’s to 2 parts soda – meaning a 750ml bottle of Stone’s, plus ice and soda creates 2 jugs of this fantastic elixir with a final alcohol strength of 4.6%, the same as many beers. Some may like it stronger, some weaker, however you like it get amongst it and share it with your friends. To bring this fantastic drink to life we have created a fantastic limited edition package for our Stone's Original Green Ginger Wine. So grab one now and Mix it Up. Alcohol - 13.9% alc. vol. SPICY CHARACTER, ZEST & A SOFTENING SWEETNESS. 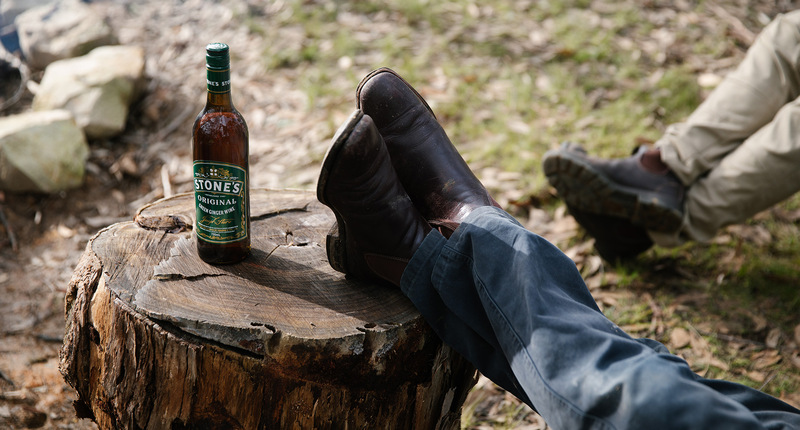 Take Stone’s Original and mix it with the flavour of Scotch Whisky and what do you have? Whisky Mac. Our Stone’s Mac is a warming, spicy, ginger flavoured wine with Scotch Whisky adding an air of sophistication. 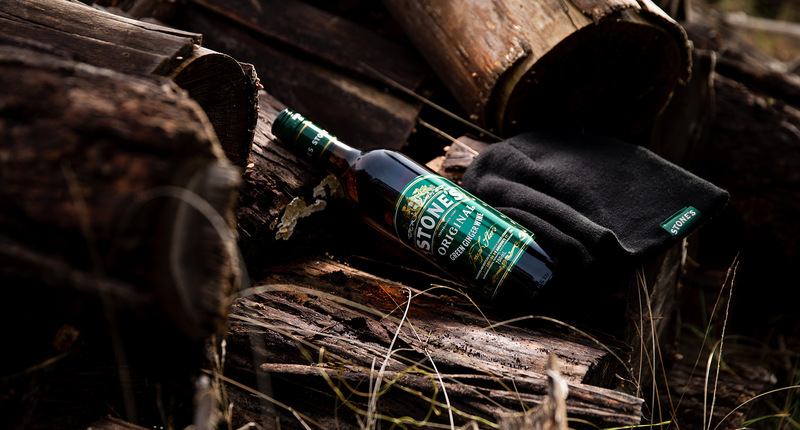 The unmistakable flavours and deliciousness of Stone’s Original Green Ginger Wine and the malt character of whisky together are most complementary, and the higher alcohol content makes Stone's Mac an excellent base for the mixing of long drinks and cocktails. Alcohol – 18.5% alc. vol. Stone's Premium Alcoholic Ginger Beer was the first real alcoholic ginger beer, hitting the market way back in 2001. Many have followed but most have fallen by the wayside whilst this brewed product powers ahead, carrying on the tradition of fine ginger drinks in the Stone's range. No beer fridge, bar, esky, day at the beach, drink after summer sport is complete without it. A refreshing, zingy infusion with a definite hit of ginger both on the nose and palate that is moderated by a softening sweetness. Stone's Premium Alcoholic Ginger Beer is the perfect way to quench the thirst on a hot summer's day. It is equally at home over the bar by itself as it is with your favourite spicy Asian influenced cuisine. Alcohol - 4.8% alc. vol. THE ORIGINAL AND THE BEST… PACKING A DEFINITE AAAAAAAAGH RATING! Can you take the heat?! 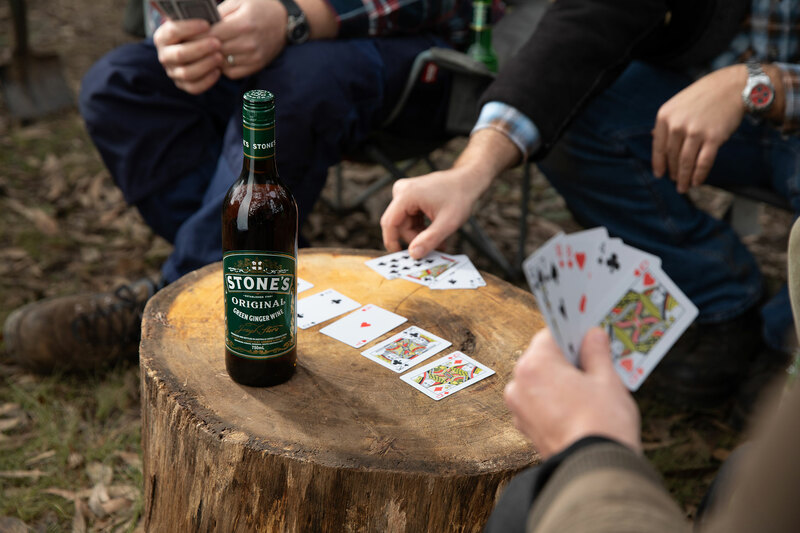 Described by some as “Stone’s on Steroids”, Stone’s Special Reserve takes Stone’s Original Ginger Wine and pumps the Volume up to 11 with the addition of a range of secret herbs and spices and extra ginger for a massive ginger hit. Not for the faint hearted, this super premium version of Stone's Ginger Wine is a brilliant, deep golden brown colour. Intense, pungent ginger and spice aromas hit you from the very first whiff, whilst on the tongue the fiery ginger flavours are balanced by a rich, unctuous sweetness. The flavour hangs in your mouth forever with a powerful hit of ginger, caramel and spice tingling the taste buds. Sip it "on the rocks", as a mixer or blended with soda water for a spirited version of dry ginger ale. Alcohol – 18.0% alc. vol.